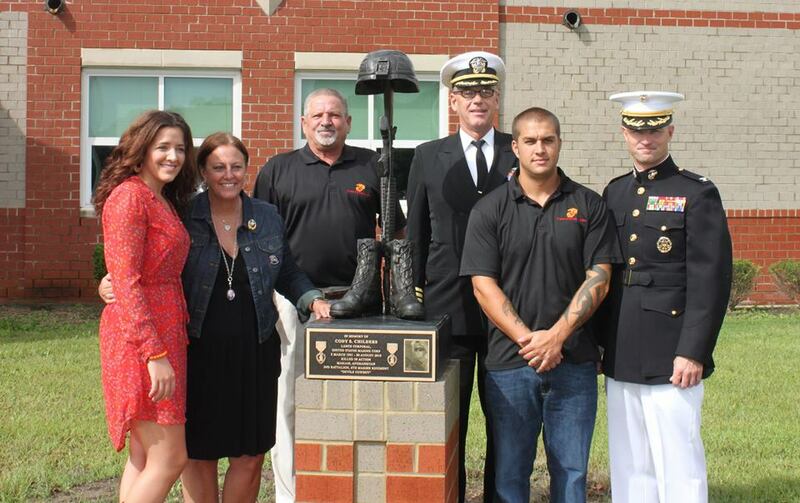 On October 3rd, 2015, the LCpl Cody S. Childers Battle Cross was unveiled at Grassfield High School. Thank you Erik Johnson for your dream and making it come true. And thank to everyone who contributed to the monument and made our the day so special. We need your Help to ship 9400 Boxes of Girl Scout Cookies! The LCpl. 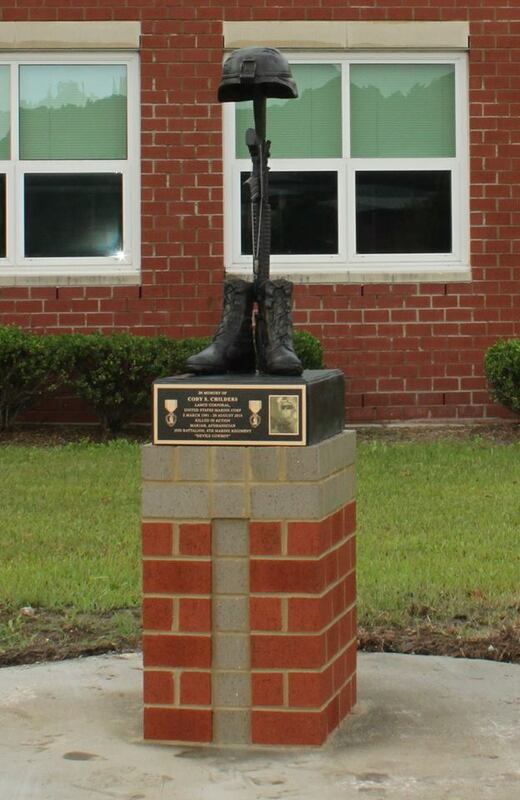 Cody S. Childers Memorial Fund is an IRS recognized and approved non-profit 501(c) 3 Corporation tax ID #45-2807295. We are a 100% all volunteered organization and no one receives personal compensation of any kind. All donations/gifts go to the expenses to provide support and comfort thru sending care packages to support our Marine/Sailors deployed and planning exciting and meaningful experiences for service members and Wounded Warriors and their families once they return home. Your donation is 100% tax deductable. Neither the United States Marine Corps nor any other component of Department of Defense has approved, endorsed or authorized any of the endeavors of LCpl. 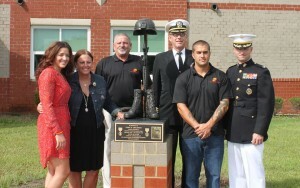 Cody S. Childers Memorial Fund. No pictures off this site can be used without LCpl. Cody S. Childers Memorial Fund's permission.